The chairman of the US derivatives regulator has told a senate committee that digital currency derivatives fall within his agency’s remit. 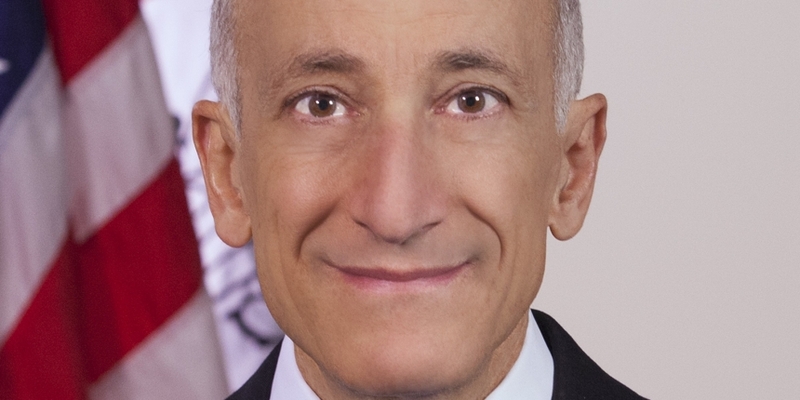 Timothy Massad, who chairs the Commodity Futures Trading Commission (CFTC), testified before the US Senate Committee on Agriculture, Nutrition and Forestry yesterday, noting that while his agency does not have specific rules governing digital currencies, it would oversee futures and swaps in any commodity. This includes digital currencies, he said. Massad noted the CFTC defines commodities “very broadly” and the term is not limited to agricultural commodities like metals and energy, but also includes derivatives linked to stock market indices, currencies and electricity. Massad framed digital currency derivatives as a form of innovation that his agency wants to encourage, although he noted his agency is also tasked with enforcing consumer protections and preventing manipulation and fraud. The CFTC chair referred to TeraExchange’s bitcoin swap as an example of a digital currency derivative that fell within his agency’s oversight. New Jersey-based TeraExchange received approval for its swap from the CFTC in September. “Innovation is a vital part of our markets, and it is something that our regulatory framework is designed to encourage. At the same time our regulatory framework is intended to prevent manipulation and fraud, and to make sure our markets operate with transparency and integrity,” Massad said. Some market participants welcomed Massad’s comments. Joe Lee, who runs digital currency derivatives platform BTC.sx, said regulation could encourage greater adoption of digital currencies. Christian Martin, chief executive of TeraExchange, also welcomed Massad’s comments. He said regulators and lawmakers were paying increasing attention to digital currencies and he viewed this as a positive development. He pointed to Massad’s remarks at a Senate committee hearing as evidence that digital currency is being taken seriously. “The topic of [digital] currency being present in such a critical – arguably the most critical yearly process [for the CFTC] – is an observable indication of mindshare being dedicated to the topic throughout [Washington, DC] generally,” he said. However, other players in the bitcoin derivatives world were less positive. Arthur Hayes, who runs BitMEX, a Hong Kong-based firm that offers its own bitcoin-linked derivatives, said Massad’s statement was too broad to be interpreted clearly. More specific comments from the regulator would be required before market participants could be sure about the impact of possible regulation, Hayes said. “I would say the less regulators are involved, the better. What [regulators] do will drive behaviour, whether or not that is favourable depends on the details,” he said. In November, a CFTC commissioner said that the regulator had oversight over bitcoin and digital currencies because it could be defined as a commodity. He made the remarks at a conference on bitcoin organised by Bloomberg. The regulator also organised its own event to discuss bitcoin and digital currencies, holding a meeting in October that concluded with largely positive sentiment about the sector. Massad was testifying to the Senate committee as part of an oversight hearing. He was updating the Senate on the CFTC’s progress in fulfilling its responsibilities under the Dodd-Frank Act. The regulator was given the job of overseeing the $700tn swaps market under the Dodd-Frank Act in 2010, Bloomberg News reported. Much of Massad’s testimony to the Senate committee focused on his agency’s ability to fulfil its new responsibilities within its budget. The committee’s chairwoman Senator Debbie Stabenow issued a statement after the testimonial calling for increased funding for the CFTC.